Right from the first phone call to Paul at Literacy Solutions I was impressed. I contacted a few services enquiring about a dyslexia assessment for my grandson as I was anxious to find the right assessor for him. As soon as I spoke to Paul I knew I would chose Literacy Solutions, he filled me with confidence in Sara and her ability to assess a child with a complexity of needs. The fact they are parents themselves make a big difference, this is not just a job to them, it is a mission and they are so passionate about helping families. Paul gave me loads of advice and pointers even before I booked with them. Sara was great with my grandson, I asked him what he thought of her and he said ‘awesome’. The report she provided very comprehensive and full of advice and strategies for school to support him. I can higher recommend Literacy Solutions. I’d just like to say how good it feels to see this all written and actually have a diagnosis rather than to think it’s related to your level of intelligence. The written assessment is really uplifting to read. I would recommend for anyone who feel as if they may have dyslexia to have an assessment, you realise things about yourself you weren’t aware of. First, I wanted to say thank you so much for the time and effort for the report, it was a most fascinating read! I learnt a lot about myself, you are very perceptive! Although it is not my place to say, I think your report is spot on. Thank you. Recently I heard back from student finance and it looks like they are willing to give me a grant for some money which is fantastic! I wanted to also say thank you for the email on successful self made millionaires being dyslexic. We want to say a big thank you since our daughter’s assessment I have met with the SENCo at school, and agreed on actions and preparation for her as she moves into Year 5. Her new teacher is fully up to speed and has had a copy of the report. She has also had an eye test and we went through different overlays. She settled on a turquoise one – and I can only describe the experience as amazing. It was like a light being turned on! We made a further appointment for coloured lenses. Since she met with you and had the assessment, it has been like a weight has been lifted off her shoulders – and since working with the overlays, she is so happy, light hearted, and loving choosing magazines and reading David Walliams. Thank you Sara, I will not hesitate to recommend you most highly. Sara came to my house to assess me and was very kind and understanding, my report is very professional and I’m so pleased with it. She’s helped me alot with applying for DSA and I’m sure the help and support I get at university will be amazing thanks to Sara. Sara came to assess my son before he went to University. Sara is very professional and at the same time friendly and approachable. She hit it off with my son straightaway and the assessment went very well, in fact my son enjoyed his time with Sara and we have booked her to do a follow up session when my son is home in the holidays. Sara produced a very thorough and professional report for my son, which has enabled him to understand more about how to improve his studies and written work. It also helped to improve his confidence as he has found it very hard to understand why his written work was not as well regarded as that of his peers at school. It was also very helpful when he applied for Study Support at University in order to support his work, and, very pleasingly, he has been awarded extra help and suitable computer technology and equipment. Meeting Sara has been a revelation and the start of a different future, thank you Sara. Our 8 year old daughter was assessed by Sara this summer as we had concerns she may be dyslexic. Sara was fantastic with our daughter whilst the tests were carried out. We promptly received the comprehensive report which concluded she was dyslexic and although this was not the news we hoped for, it has helped our daughter to understand despite all the effort she was making, why she was not able to keep up with her peers as this has had a detrimental affect on her self-esteem and confidence at school. Now with Sara’s help we can start to rebuild her confidence and hopefully work with the school to enable our daughter to get the support she needs. I would strongly recommend Sara to any worried parent or school who has concerns about any of their pupils. Thank you so much Sara. Our daughter is actually asking when she can go back to school! You kindly assessed my son Albert Adkins-Fairhurst at Tarleton Community Primary school last year, and your wonderful report helped Albert to be awarded with a statement of educational needs. He is receiving 1:1 support at school and is progressing well within his education. Kind Regards. Sara was extremely knowledgeable and shared lots of practical ideas and strategies that will be easy to implement in school to help those children who have difficulties reading and writing, as well as those with dyslexia. Staff found the INSET very useful and we are looking forward to Sara working with the children in school in the future. I will definitely be recommending Sara to other schools. Sara has been a great support to me and my son and has helped him and me to understand how to help with his dyslexia. Sara is professional friendly and very good with children . I highly recommend her services. Sara from Literacy Solutions provided an extremely useful, relevant and practical training session helping all staff to implement and develop strategies to support and integrate SEN learners within all sessions. Sara is always very helpful, offering valuable and practical advice. I would definitely recommend her to other schools. Sara carried out observations and assessments in our school. She has delivered staff training to ensure we offer a dyslexic friendly classroom environment. Her knowledge is excellent. Thank you for your patience and understanding with our pupils. Your ability to quickly get to know the needs of the pupils ensured their needs we’re met both academically and with their self confidence. I would highly recommend your service to parents and schools and look forward to continuing to work with you next year. It was a pleasure to meet Sara this week, she was very knowledgeable and gave us lots of strategies, support and advice so we can support our Son. She was incredibly patient throughout the assessment with my Son and took as much time as he needed to complete a task. I would recommend her, professional, friendly and well worth what she charges. Thank You, Sara. We have been using Sara from Literacy Solutions over the past twelve months in school. Sara’s professionalism is always second to none. Sara very quickly builds an excellent rapport with all the students she comes into contact with, she always puts them at ease with regard to the tests that are about to be carried out. Whether Sara has done a full diagnostic or just testing for exam concessions, her paperwork is always completed with great detail and accuracy. We will be continuing to use Sara and her excellent service within our school. Sara was very professional, bonded well with Sam & built a quick rapport. Whilst doing her assessments Sara made it fun & interesting & engaged well with Sam. The report we received a few days later gave us lots of information regarding sams strengths & weaknesses & suggestions for ideas for home & school that we can follow to help Sam. I would definitely recommend Sara to others. Thank you so much. Sara has worked with our 8 year old daughter over the last three months on a weekly basis assisting her to improve her working memory and helping her gain speed and accuracy in her reading. Having had a private dyslexia assessment in September and finding little assistance from school in the specialist help area – Sara has filled a gap in her education and I am happy to say she is making good progress. Sara keeps my daughters attention and engages her for a full hour,( not easy at the end of a school day for a very lively little girl) making the learning fun but educational. My daughter always enjoys the lessons and we are happy she now has a leaning plan geared just for her needs, delivered by a professional in a calm and caring way. Thanks Sara! We used Literacy Solutions as they were recommended to us by our school’s Educational Psychologist. We want to ensure that all of our pupils reach their potential, so when our in-house dyslexia specialist retired we were quite anxious. We needn’t have worried. Sara works closely with our SENCO to ensure regular, effective input and advises strategies that are put in place ensuring that there is a positive impact on pupils and enabling them to access learning more easily. She also tracks our pupils with us so that we can review their progress more easily. 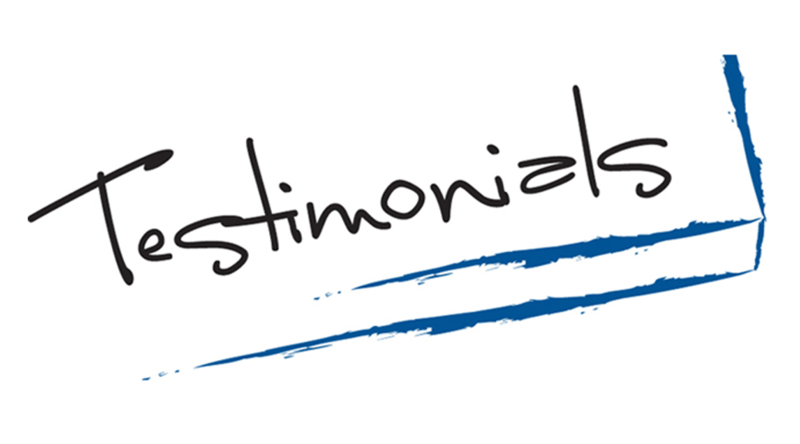 I would not hesitate to recommend her to any other learning organisation. Sara’s professionalism and knowledge and understanding of literacy difficulties and solutions are excellent. Sara stepped in and quickly understood what was needed and has completed marking and moderating accurately and on-time. I have found Sara to be an excellent communicator. Sara worked sensitively with students, providing sound support and used all the required documentation accurately. I will continue to ask Sara to work with me and look forward to new and exciting work together. You have recently assessed and done a report for my son, we have always had concerns about dyspraxia – we were very impressed by your full report and assessments. So we were wondering, for another of our children who we are concerned about in regard to dyslexia, Thank you. Sara Graham was very helpful and also very understanding with my leaning needs she also continued her support though out my educational learning path. Sara’s teaching skills are spot on, she has everything that a teacher should have when working with people with dyslexia needs. Sara gave me that support that anyone needed when sitting exams there are scary as it is, but Sara kept me on the tracks for my exams. Dealing with my Dyslexia made me understand that my learning problems were not a barrier for outside life, thus allowing my confidence to grow in the workplace.